I clearly remember when I went to the office to hand in my application with a beating heart. In addition, I cannot forget when I opened the newly-printed magazine and found my first article before magazine distribution. I was proud of myself and ever since then I decided to finish my term working for The UOS Times. For two and a half years my nickname has been Park Yong-ja. It means that almost every experience I have had on campus has been related to The UOS Times. When I say I have an appointment, everyone thinks that I am going to the office to work on the magazine. When I write an article and ask people I know for an interview, they look at me pathetically and pat me on the back. To be a member of magazine, I had to give up hanging out with friends, vacations with my family, and other experiences that I could have done if I applied to other activities. However, I got so many unforgettable memories while writing for the The UOS Times. Honestly, I have not been always been a perfect Vice Editor and senior reporter. I made mistakes while working and sometimes harmed the magazine. Writing a good article is still difficult task for me. I cannot surely say that I supported the editor well. Without the help of other writers, it cannot be easy for me to finish my term’s end well. I met and created relationships with a lot of great people; not only current reporters but also members of the UOS press. 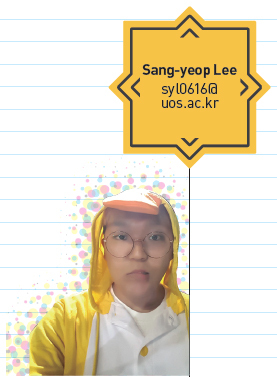 In addition, because I am a reporter, I was able to go to many places in Seoul, meet many interviewees, and broaden my knowledge in various fields while writing my articles. I cannot imagine my life on campus without The UOS Times. However, now it is time to say goodbye to what I have gotten used to. I will miss the crowded office filled with laughter and many nights I spent writing articles. Although my term is about to end, I will remember The UOS Times forever because of the pleasant memories and wonderful people it gave me. It is often said that college is a person’s first step towards society, a microcosm of the community he or she will join as an adult. College students meet so many different kinds of people and learn lessons or have bad experiences. These can be both physical and emotional. However, what we have lost does not matter. Whatever it was, there is always something else to gain. Current and future students will go through as much if not more than I have. Nice things, of course, will happen. However, bad things will test you first. It does not matter if you pass or fail these tests. Even if you fail, you will draw lessons either way. I know many people who became stressed and depressed when they suffered misfortune. I always told them to be reasonable and positive, learn from their situations, and realize something to improve their behavior in the future. For better or worse, the important thing is something can be learned from any situation. The UOS Times was the very first activity I started after I enrolled at UOS. For two and half years, I experienced several big events and learned lessons from each one. I also had bad experiences. Of course, it is better to learn lessons without getting stressed, but even loss is worthwhile in its own way. In any event, we will also have lots of bitter experiences, and it is important to learn from each case. Difficult times are tough, but we should never think these times are just worthless and stressful. If you stay reasonable and positive, you will learn more valuable lessons that you can use in the future.